MilitaryByOwner features lots of tips about how to sell your home quickly, how to sell your home on a PCS deadline, how to make the decision to sell, and more. If you're selling your home, we've got six simple steps to help you prep for home selling! 1. Get your home valued. Don’t simply rely on the automated valuation models (AVMs) to calculate what your home is worth. Usually, they cannot accurately tell the value of your home because they rely on outdated market data and square footage, and they also don't take into account any upgrades that might affect the value of your home. 2. Plan your move-out date. A residential real estate agent will be able to run a comparative market analysis for houses just like yours in your neighborhood to tell you how long they're sitting on the market. 3. Clear out the excess. Hire a storage container to clear out all of the junk and excess, or better yet, have a garage sale and donate everything else you don’t need. 4. Determine if you’re open to VA Home Loan buyers. If you’re in a predominantly military community, then you may want to consider VA Home Loan buyers as a potential for purchasing your home. The VA is strict when it comes to the inspection report and repairs; if they don’t like what they see on the inspection, then they won’t move forward with the loan. The good part about working with VA Home Loan buyers, though, is that they’re generally well-qualified and decisive. When it’s time to buy, they buy. 5. Arrange for good photography. If you’re working with a real estate agent, ask to see samples of the types of marketing photography that he or she usually produces or hire a good real estate photographer. If you’re completing a "For Sale by Owner," then make sure your photos are stellar to get the most out of your FSBO sale. 6. Get ready to get out of that house! With some forethought and preparation, your home should be ready to market to military homebuyers. Here’s to a successful home sale! 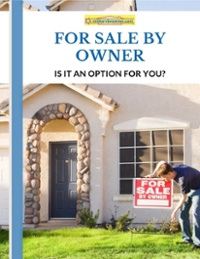 For more information and help with the For Sale by Owner process, click below to download your free e-book!